A couple of months ago we wrote a post about items that were essential here in India. Now, after 3 months in India and one in Sri Lanka, we have found other items that are needed while traveling through India. You can see the other items that we list in our post Travel Gear Did We Need it All? and we have found a few more items that we really needed, others that we feel so passionately about that we want to reiterate them again and other items thatt we really wish we brought. We hope that this helps you to pack easily when you are making your list for things to bring to India. Dry Gear Bag – We bought an ultra light weight dry bag and didn’t regret bringing this item at all. It has been great to bring cameras and electronics to the beach. If you are doing any type of water sport, the dry bag is a must for your electronics. For Holi and other festivals it is good as well. When people are throwing water, you can rest assured that your camera is safe. Soloman Bags – These extra day packs have been essential. We carry them on the front of us when traveling and they hold our computers. They don’t look like computers bags, so nobody suspects that we have expensive electronics on our chests. They are lightweight and can be packed to the fullest. 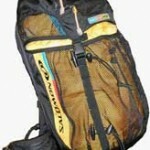 They are perfect for treks and day packs. 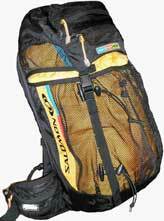 They can be used on multiday trips instead of carrying your entire pack with you and are durable and used by adventure racers so they must be good!